Starting out in tennis? Feel a bit daunting to join a tennis club. Why not try out our beginners trial membership, to see if you like it. Beginners trial membership costs only £60 for one year and includes 5 hours of lessons free of charge with our highly qualified and friendly coaches to get you up to speed before you join in with the rest of the club’s activities. 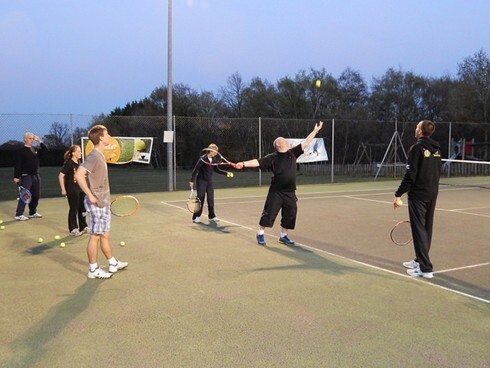 We’re a very friendly club with all ages and abilities, so if you’d like to play tennis but are feeling a bit nervous about it, come and try us out. Contact our New Membership Secretary for more details on or Join and select ‘I’m interested in beginners membership’ under Membership on the form.